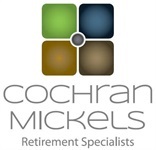 Our firm specializes in financial planning, specifically as it relates to retirement planning. We run across of a lot of people that we call "Spreadsheet Warriors." These are people who meet with us and spend a fair amount of time explaining how they put together their "Spreadsheet Retirement Plan" and why they don't need our services. Don't get me wrong, they have put a lot of time and effort into it and should be congratulated on that aspect, but in every case, there are holes in their spreadsheets big enough to drive a truck through. None of these spreadsheets show a calculation for inflation and granted it hasn't been that much. But what is important is that you will normally spend 25 to 30 years in retirement and with inflation at 2% every year, it adds up. The next big hole and this is my favorite, is none of them either think about or know how to compute how their portfolio is going to perform during and after a market correction. Couple that with they are no longer adding money to the portfolio, and this makes a huge difference and can be devastating in the first 5 years of retirement. There are plenty of other things that when missed can cost you dearly and impact your retirement. Morning Star published a report, "Alpha, Beta and Now Gamma" that shows working with a financial planner can add 22.6% to your retirement income. Spreadsheets aren't a planning tool and egos can be very expensive. Give us a call, we can help you with your retirement plan.